The FCRA is a federal law that regulates the use of credit and other background checks, including those obtained for hiring and employment purposes. Does the law only apply to credit reports? No. The FCRA is applicable to all “consumer reports” obtained by employers, defined as “any written, oral or other communication from any third party (such as a background search agency or employee screening company) that relates to any employee’s or applicant’s credit worthiness, standing or capacity, character, general reputation, personal characteristics, or mode of living.” For example, a criminal background report obtained by an employer from an outside agency or provider is covered by the FCRA. The law places strict requirements on employers who use consumer reports for hiring or employment purposes. These requirements include notifying employees and applicants when a report is sought, obtaining consent (in writing) from the employee or applicant, and advising employees or applicants of their right to contest an adverse report. How must the notice/consent be provided and obtained? An employer is required to provide the notice, and obtain the consent of employees and applicants, in a stand-alone document. This means that the disclosures and consent cannot be buried in another document, such as an employment application. What liability can result from a violation of the FCRA? An employer that violates the FCRA can be subjected to statutory damages ranging from $100 to $1,000 per violation, and also may be held liable for an employee or applicant’s actual losses and attorney’s fees. 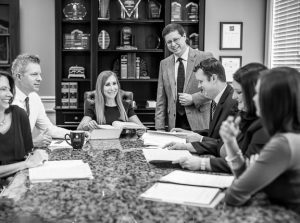 In cases involving willful violations of the law, punitive damages can also result. Does an employee or applicant have to be fired or denied employment to bring a claim under the FCRA? No. Technical violations of the law (such as the failure to provide a stand-alone notice) can result in liability even if there is no termination of employment or refusal to hire. Cases involving technical violations of this type are often litigated on a class action basis, and courts may award compensation to the representative plaintiffs for assisting in addressing violations fo this type.